A natural intestinal cleanser from Ki-essentials. 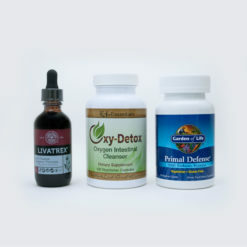 Oxy-Detox is our number one product for colon cleansing. Dr Patrick Price has developed many nutritional “Protocols” to support several particular conditions. He has toured internationally for many years and brings to you his years of experience and expertise for specifically designing a protocol just for you. We carry the full line of each of these companies: BIOTICS RESEARCH, NUTRI-WEST, STANDARD PROCESS. Contact us to order a specific product from one of these companies.